basketball-themed Manga (comic book) Slam Dunk for a couple custom renditions of some of the brands sneaker silhouettes. 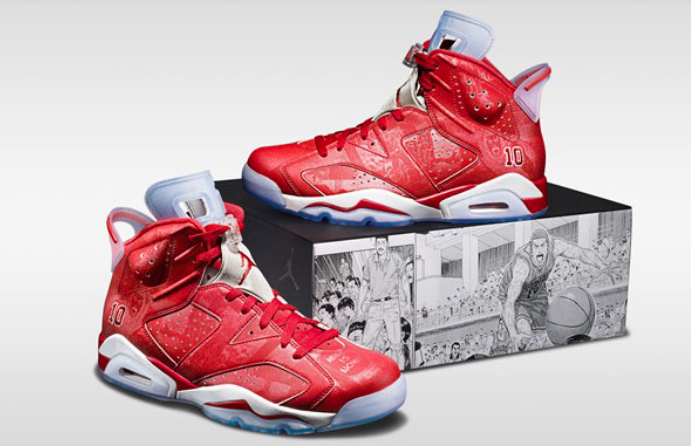 JB decided to have Mr. Takehiko Inoue implement some unique graphics of Slam Dunk’s main characters and scenes from the comic-strip covering the entire upper of special Shohoku-inspired colorways of the classic Air Jordan VI retros and the new Blake Griffin Jordan Super Fly 3. Along with the limited kicks, the two also collaborated on some custom snapback and t-shirts to compliment the kicks. 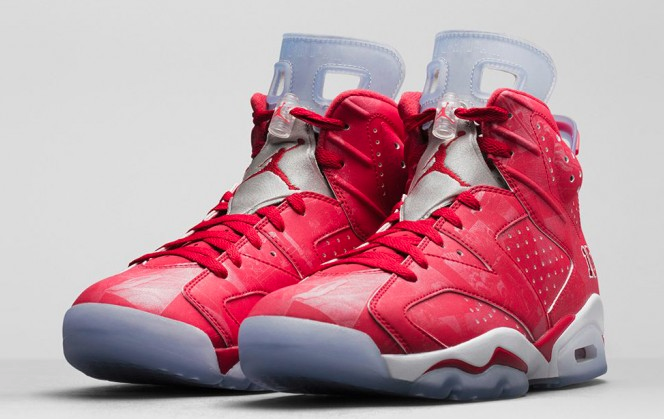 The entire Jordan Brand x Slam Dunk Sneaker Collection will be available October 18th exclusively at Japan’s Nike Harajuku flagship store. Check detailed images above.